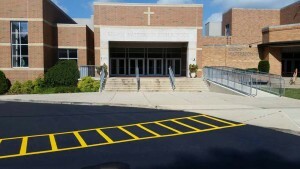 Asphalt Maintenance, Driveway Repair, & Line Striping in Westerville since 1958! Westerville has been home to Jet-Seal since 1979, a little more than 20 years after being founded in 1958 in Columbus, Ohio. A third generation, family owned and operated business, our children went to school in Westerville starting in 1987 at Central College Presbyterian pre-school. My wife and I have been church members there since moving to Westerville. My youngest son graduated from Westerville North High School in 2007. My children were baptized by Reverend Ellsworth and my oldest son was married by Pastor Malcomb Davis in 2015. Over the years Jet-Seal has earned the trust of thousands of residential, industrial, municipal and commercial customers. In 2017, after sealcoating several times in past years, Jet-Seal paved the Fraternal Order of Police, Capital City Lodge #9. The lodge, located on Schrock Hill Court in Westerville, represents twenty-nine law enforcement agencies throughout central Ohio. Members include Columbus, Franklin County, Westerville, New Albany, Galena, Gahanna, Lewis Center, Powell, Dublin, Hilliard and many other local law enforcement agencies. After a total parking lot demo in 2017, the pavement was replaced with new asphalt, new curbs and traffic control lines painted blue to represent “the thin blue line”. The thin line between order and chaos, good and evil that these brave men and women hold each day. In 2012, Jet-Seal was contacted to evaluate the FOP parking lot. At that time there was little holding the blacktop together. The stone base had failed, and potholes were speckled throughout the asphalt. Although a total replacement was needed at the time there was only one problem; funds. Jet-Seal was presented with the task of maintaining the asphalt by repairing the potholes, sealing cracks with hot rubber sealant, sealcoating and line striping. These services weren’t intended as a long-term solution but were needed to bridge the gap until funding for a complete paving project could take place. In 2015, Jet-Seal was called once again to assess the parking lot. The asphalt repairs and sealcoating from 2012 held up so well that the FOP board decided to have the same service done once again to delay major paving repairs until sometime in the future. So, for six years, some relatively minor asphalt paving repairs and sealcoating, at a cost of approximately $10,000 postponed what would eventually cost nearly $250,000. That, is a pretty good illustration of how sealcoating services can save you money over time. Whether you are spending hundreds of thousands of dollars or less than a hundred dollars Jet-Seal values its hometown customers. Most of our competitors recommend sealing annually. Jet-Seal advises sealcoating on a bi-annual basis. Jet-Seal uses the highest quality materials and our product typically lasts 30% longer, saving you money as well as the inconvenience of yearly applications. Jet-Seal has serviced scores of commercial parking lots in Westerville, dozens of places of worship, and sealed thousands of driveways in the residential sector. Jet-Seal continues to be Westerville’s top-rated sealcoating company for several reasons. No one in the area comes close to Jet-Seal’s experience and quality workmanship. When the cost is about the same as other companies with less knowledge and commitment to the community, the choice is easy! Jet-Seal is a member of The Westerville Chamber of Commerce and a multiple Angie’s List Super Service Award recipient, including 2015, 2016 and 2017. Contact us today for a free estimate. Scheduling is easier than you may realize. Jet-Seal has a crew in Westerville just about every day during the application season which runs from April through November. 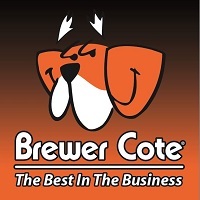 Westerville, Ohio’s Highest Customer Satisfaction Asphalt & Sealcoating Service! Located in the northeast corner of the metropolitan area, Westerville has grown exponentially over the past two decades. Westerville is largely a suburban bedroom community where Otterbein University is located. For many years Westerville proudly banned the sale of alcohol within its borders, but it is no longer dry.